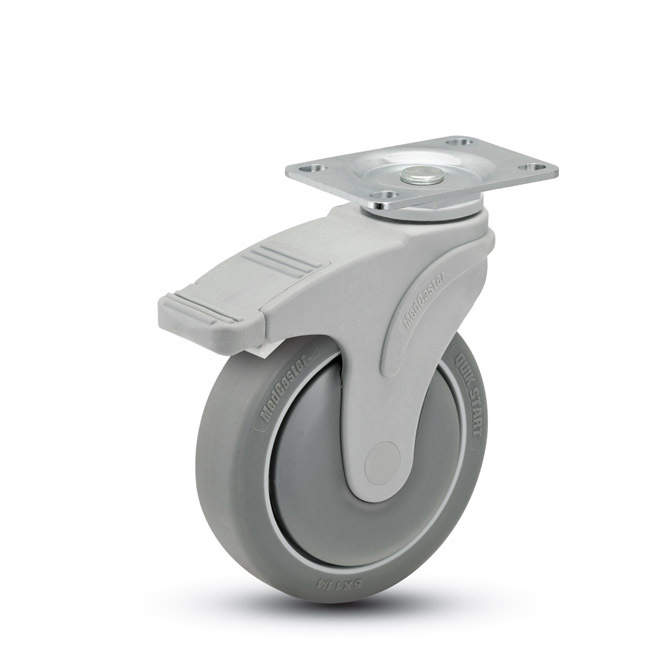 Top plates are excellent for retrofitting casters to existing furniture and case goods. 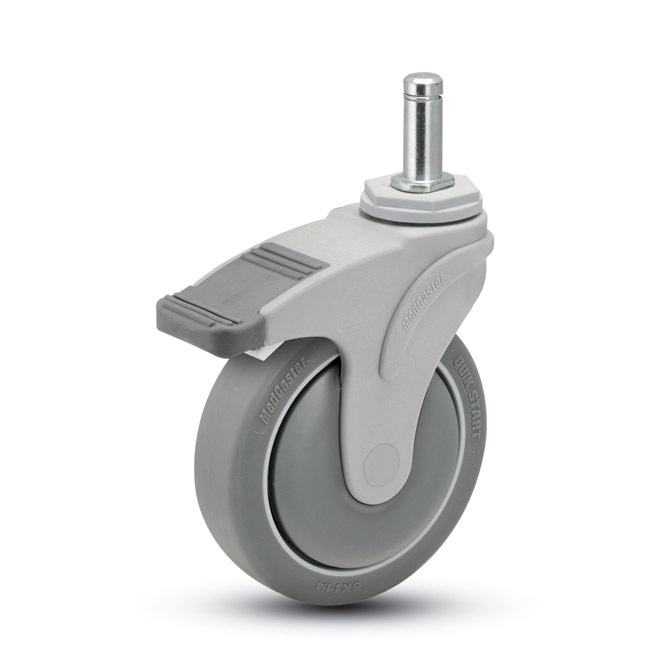 As long as you have a flat surface, you can mount these casters. Normally found on formed and welded metal furniture, threaded stems are also found on wood furniture and attached with a T-nut. 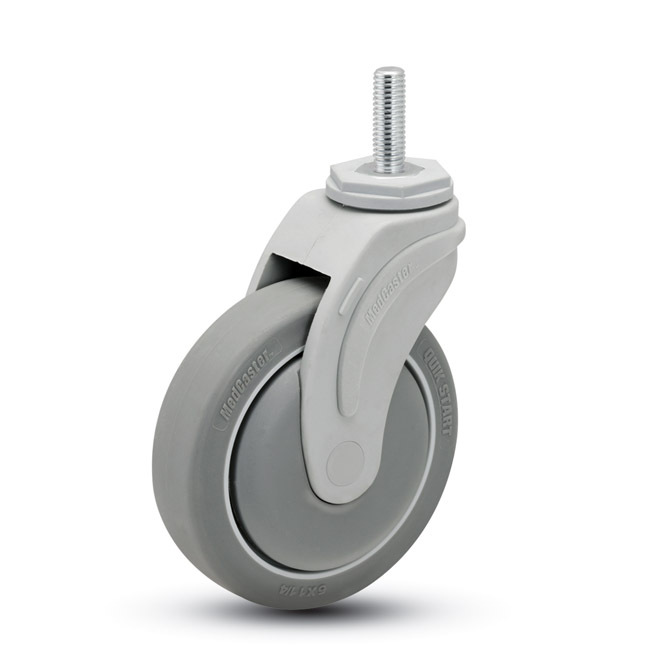 Commonly found on chairs, IV poles, and other equipment with multi-leg bases, grip ring stem casters fit into bored holes with a clearance fit. Hollow kingpins allow for flush mounting using a simple thru-bolt. 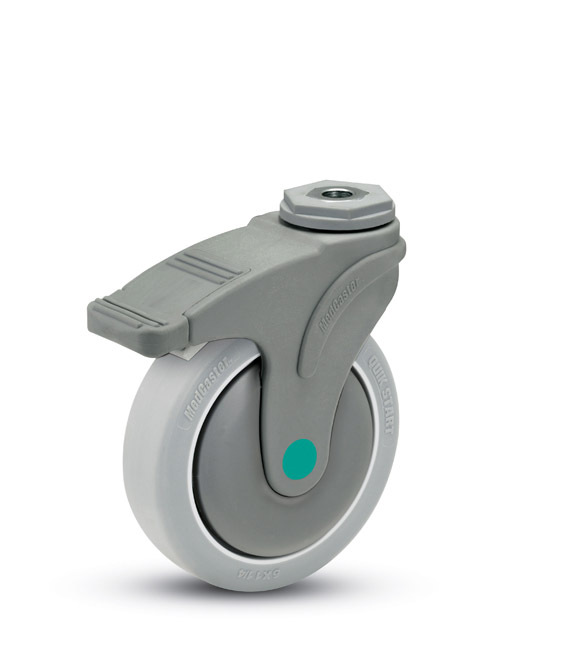 Use a 7/16″ bolt and these casters can be mounted to almost anything.